The Malpass Brothers returned to their original North Carolina-based artist representative Stephen Barefoot of goingbarefoot inc, as of April 1, 2016. For inquiries about booking & appearances, visit www.goingbarefoot.com or phone919.489.1541. Malpass Brothers CD now available for purchase! Purchase our new album today! Available on iTunes: https://itunes.apple.com/album/id975290427 or in our online store. 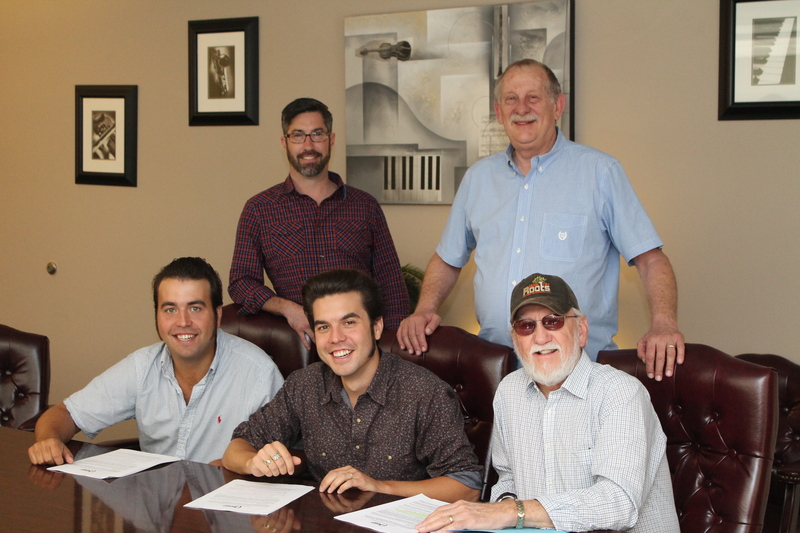 The Malpass Brothers have signed an exclusive recording contract with Crossroads’ Organic Records, with the new recording to be produced by Bluegrass legend, Hall of Fame member Doyle Lawson. A spring 2015 release is projected. The label signing comes in the same week as the NC brothers’ performance during the World of Bluegrass festival in Raleigh, and a week after drawing accolades for their showcase appearance at Atlanta’s FOX Theatre during Performing Arts Exchange. The Malpass Brothers appeared by invitation in the elaborate showcase produced by JRA Fine Arts of Nashville, featured alongside the Annie Moses Band, Mike Farris & others. They have been selected to appear in juried showcase at the upcoming Mid-Atlantic Performing Arts Market in Lancaster, PA on Nov. 11.